The clock movement failed recently and I got a drop-in clock insert from Klockit to put it back in operation. The fit wasn’t quite solid, but two wraps of silicone tape around the case under the ribbed friction-fit band solved that problem. One new movement cost just about as much as the shipping, so I bought a pair with black and white faces. 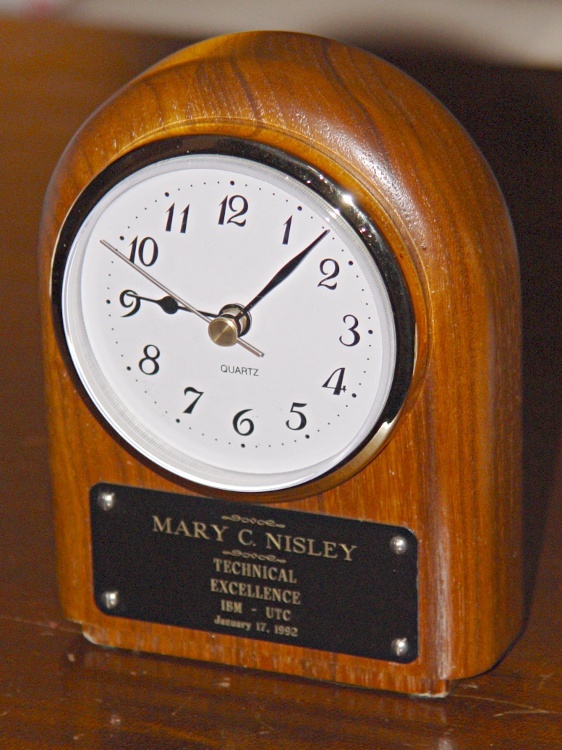 Mary picked the white face for this clock, which left the black movement as a spare. Tomorrow: what to do with a spare clock insert.